When I first saw the graveyard, in such a prominent position at the entrance to the village, I mistakenly took this as evidence that this was a very old settlement indeed. 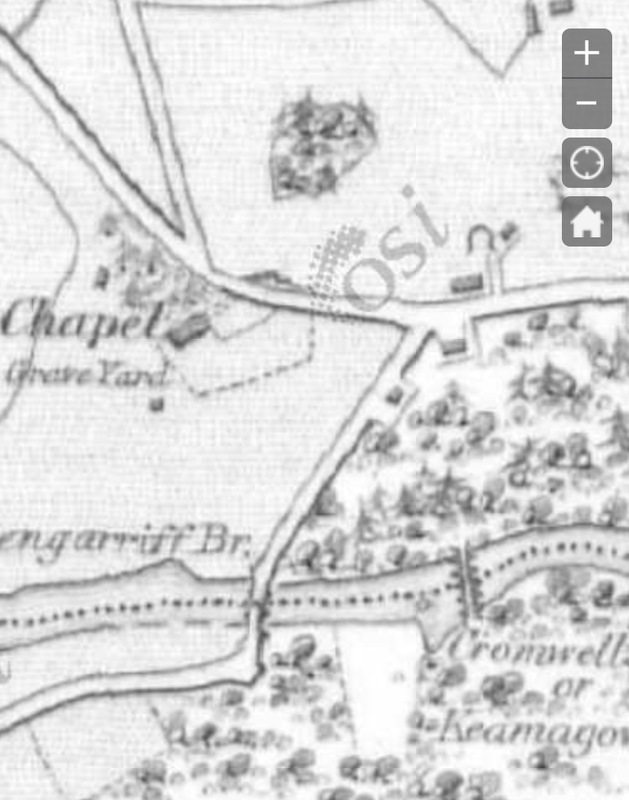 From a quick look through the old Ordinance Survey maps, however, it seems that the town developed beside the existing church and burial ground in the mid 1800's. 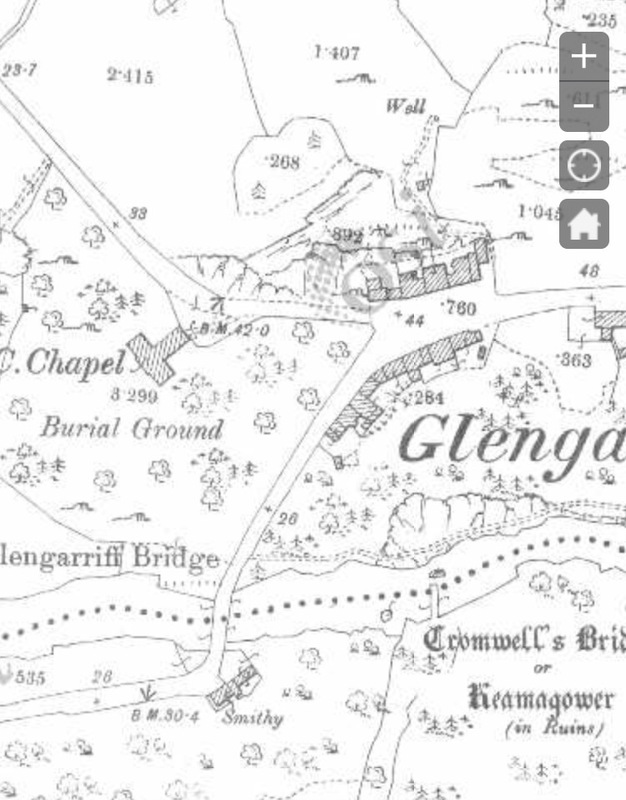 At Glengarriff, strange to say the Roman Catholic Chapel is turned into a place for making coffins. Seeing two men at work there, I went in, in company with Rev. Mr. Morgan, the curate of the parish. I said to one of the carpenters "What are you making boy? " "Coffins and wheelbarrows sir," he answered respectfully, and I saw the planks marked out, for the sawyer, to the length of the coffins. At Bantry I saw lying at the corner of the street, two coffins for the use of the poor; they call them "trap coffins", the bottom is supported by hinges at one side, and by a hook and eye at the other. In these coffins the poor are carried to the grave, or, rather to a large pit which I saw at a little distance from the road, and the bodies are dropped into it. On my return to the spot where I first saw them I found them occupied with corpses and placed on a cart about to be drawn away by a horse to the grave.